Man Up (2015) – What's New on Netflix Canada Today! A 34 year old single woman, Nancy, hung-over again, exhausted by the endless fruitless set ups by her friends, traveling up to London to toast another 10 years of her parent’s successful happy magical marriage runs in with a 40 year old divorcee, Jack, who mistakes her for his 24 year old blind date. Nancy, deciding to go with it, happens to hop on the most chaotic yet hilarious journey of her life which neither of them will ever forget. There is drinking, truths, an old stalker class mate with a long standing crush, lost divorce papers, lost hopes, competitive indoor sports and yeah Jack finding out the truth that Nancy isn’t his blind date. 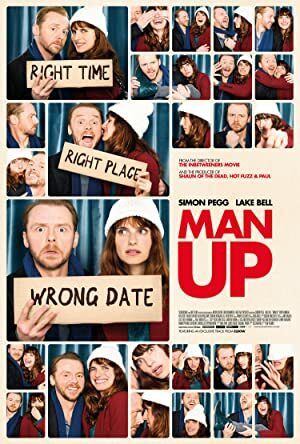 ‘Man Up’ a romantic comedy about taking chances, finding about being yourself, making decisions and rolling with the consequences.